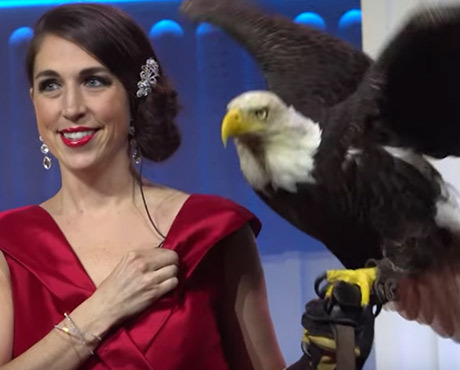 American Eagle Foundation – Celebrating 30 years protecting the majestic American Bald Eagle. Located in the foothills of the Great Smoky Mountains in Tennessee, the American Eagle Foundation is a 501(c)(3) not-for-profit organization dedicated to protecting and preserving the majestic Bald Eagle and other birds of prey. ~ Stay up-to-date with AEF! Become a Mod. or Camera Op. Wind farms kill hundreds of thousands of birds a year, including Bald Eagles, Golden Eagles and other protected species. This raises questions about the balance between renewable energy production and the environment that it is supposed to be helping. 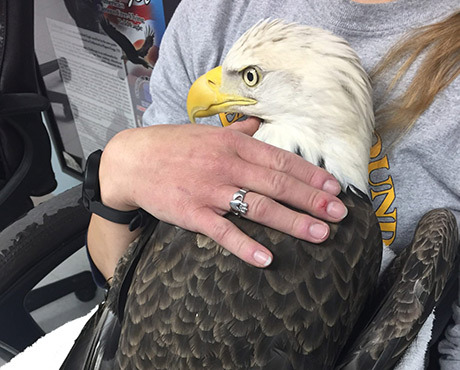 It is illegal to shoot Bald Eagles, but America’s National Symbol is still dying as a result of hunting and fishing. The lead found in hunting ammunition and fishing tackle poisons the food chain killing many species of birds, including eagles. There is no safe amount of lead. Power line collisions and electrocutions result in millions of bird deaths annually. Simple solutions can dramatically decrease this number. Help us encourage power companies across the country to implement avian-friendly alternatives to their power lines.